Vlad III, also called Vlad the Impaler (Vlad Tepes) is one of the most famous figures in Romanian history. 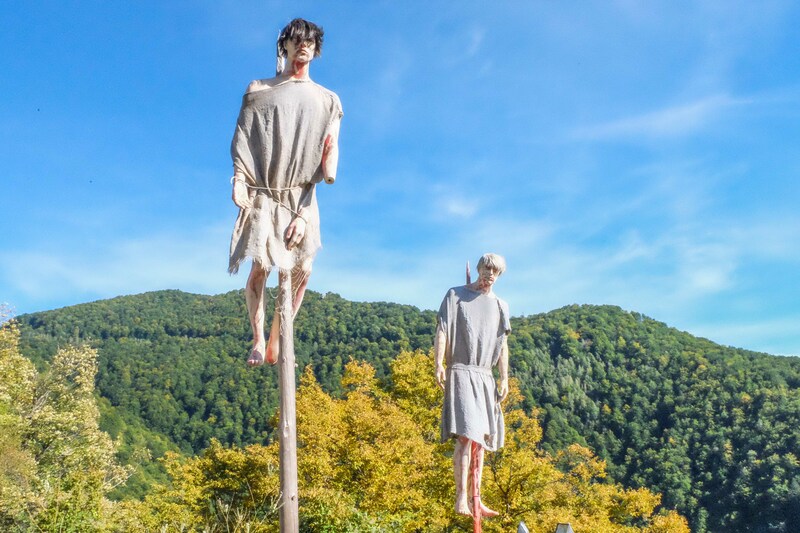 It’s a fact that most tourists who visit Romania know about Vlad the Impaler, or Vlad Dracula. It’s also a well-known fact that Bram Stoker based his Dracula character from the same-titled novel on this Romanian voivode. But who was this mysterious ruler after all? Was he really blood-thirsty and cruel? Let’s start by following his steps through some of the most interesting places in Romania. Vlad the Impaler was born in 1431 in the city of Sighisoara. He was a member of the House of Draculesti, and the name “Dracul” was used because his father, Vlad II was a member of the Order of the Dragon, an order founded by Emperor Sigismund in 1408, in Transylvania to protect Christianity in Eastern Europe. The cognomen “the Impaler” was given to him because Vlad used to impale his enemies, especially Ottomans who tried to conquer Romanian and Bulgarian territories during that period. Interestingly enough, this cognomen was used only after his death, approximately 100 years later, although Ottomans used to call him Impaler Lord. Vlad’s father was the son of Mircea the Elder. His mother is unknown, but historians believe that it probably was Princess Cneajna, daughter of Moldavian Prince Alexander “the Good”. Vlad had two half-brothers and a younger brother, Radu. Vlad and Radu spent their early years in Targoviste, the capital of the Wallachia region at the time. Both of them were educated by Romanian or Greek scholars, and it’s believed that during that period in his life, Vlad learned combat skills, science, geography, mathematics, philosophy, classical arts and several languages. At the age of 13, the Ottoman Turks took Vlad and his brother as hostages. During the years spent at the sultan’s court, the boys were trained in warfare, horsemanship, Turkish language and works of literature. Vlad began to envy his younger brother, nicknamed “the beautiful”, because Radu was well-behaved and gained the friendship of Sultan Murad’s son. Furthermore, Radu converted to Islam and entered Ottoman service, which Vlad saw as a betrayal. His time as a hostage was just one of the reasons why Vlad became so focused to prevent Ottomans from invadingWallachiaduring his period as voivode. 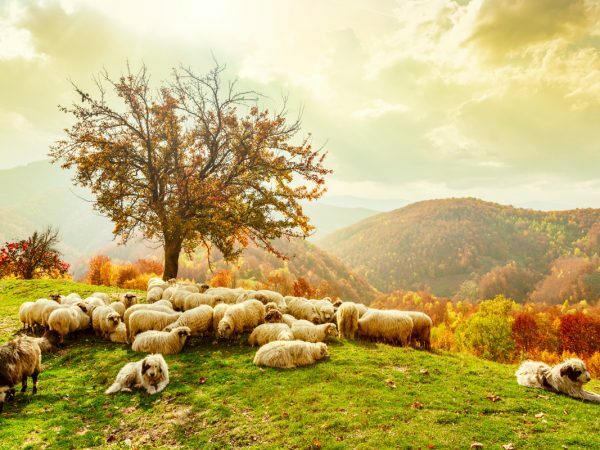 Those who continue to be fascinated about this enigmatic character, have the opportunity to visit some of the places connected to his life and his place in Romanian history. No “Dracula tour” would be complete without visiting these real touristic hot spots for all those passionate about finding out who Dracula really was. Targoviste is one of the places were Vlad Dracul spent his first years, especially when he received his education. One of the most interesting places to visit is the Chindia Watchtower. Another important stop is Curtea de Arges, former capital of Wallachia, the region where Vlad was actually voivode (not Transylvania, like many people seem to believe). In Curtea de Arges, tourists are able to visit the 14th century Princely Court. 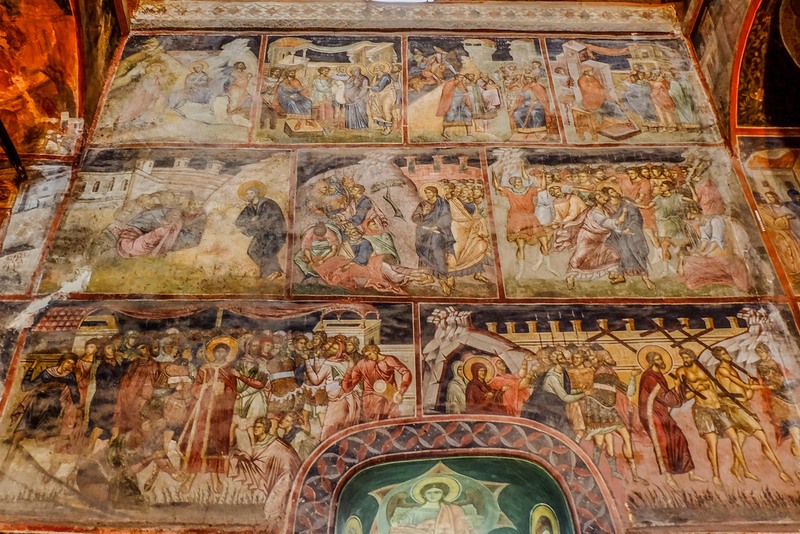 The Princely Church has one of the oldest Romanian frescoes interiors, as they portray some of the first examples of Romanian paintings. The ruins of the Poenari Fortress still stay strong high on a cliff, overlooking the Arges River, just at the foothills of the Carpathians Mountains, in a truly fairytale location. The first Wallachian rulers built the fortress at the beginning of the 13th century. The fortress was left in ruins, but Vlad recognized its potential and he ordered that the structure be consolidated and repaired, turning it into his main fortress during his reign. 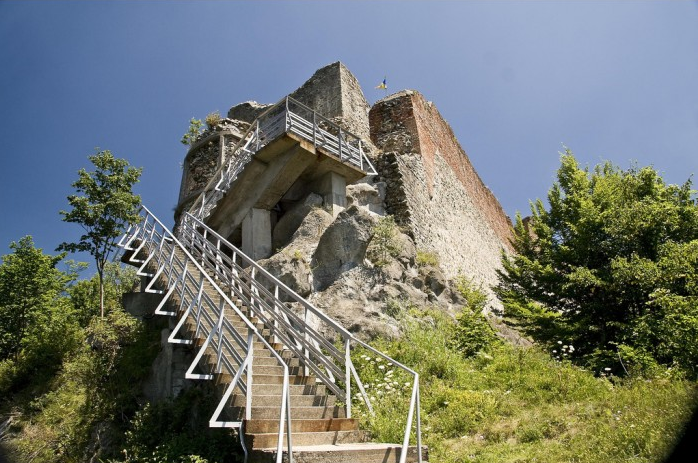 The fortress has no less than 1.462 steps that you need to climb in order to reach it. The fortress was completely abandoned in the 16th century and a portion of it crashed into the river because of a landslide. Sighisoara, a medieval city located in Transylvania is the place where Vlad was born (according to most sources). Founded by Saxons during 12th century, this city is one of the best-preserved medieval towns in Europe, and UNESCO designated it as a World Heritage Site. The cobbled streets, towers, burgher houses and ornate churches are perfectly intact since the 16th century. Vlad Dracul’s house, were he was born and lived with his father for a short period of time is located in the Citadel Square, next to the Clock Tower. The house still stands and serves as restaurant on the ground floor and Museum of Weapons on the first floor. 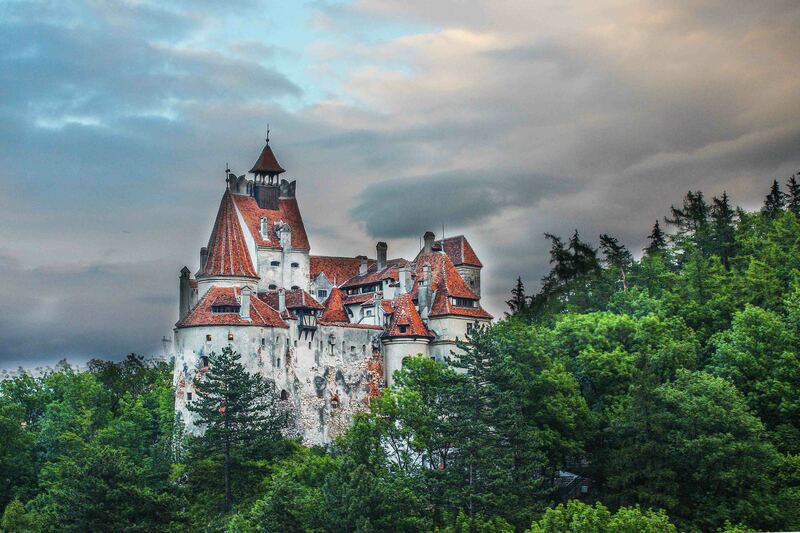 Bran Castle is what inspired Dracula’s Castle in Bram Stoker’s book. 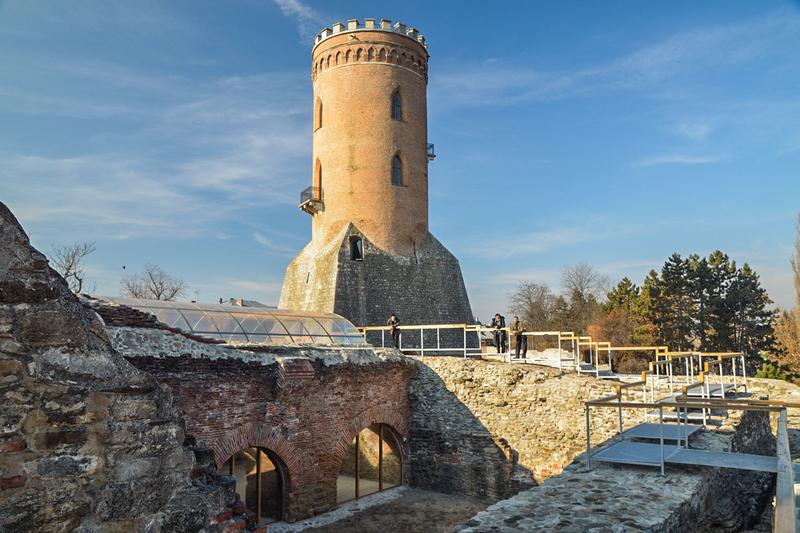 Although the castle was owned at some point by Vlad, as well as other Wallachian rulers, it was not his main residence. However, the castle’s architecture and location, dating from the 14th century, make it seem like the perfect castle surrounded by mystery. The Snagov Monastery is considered to by Vlad the Impaler’s final resting place, as his grave can be found there. The monastery was built in 1364 and it’s believed that monks were those who found Vlad’s remains in nearby forests, after he was assassinated by his enemies. Considering all the above, it’s safe to say that while Vlad the Impaler’s reign was short and very agitated, he left behind a great historical legacy, where truth and myths combined in order to create the image of Vlad Dracul, a ruthless Wallachian voivode. 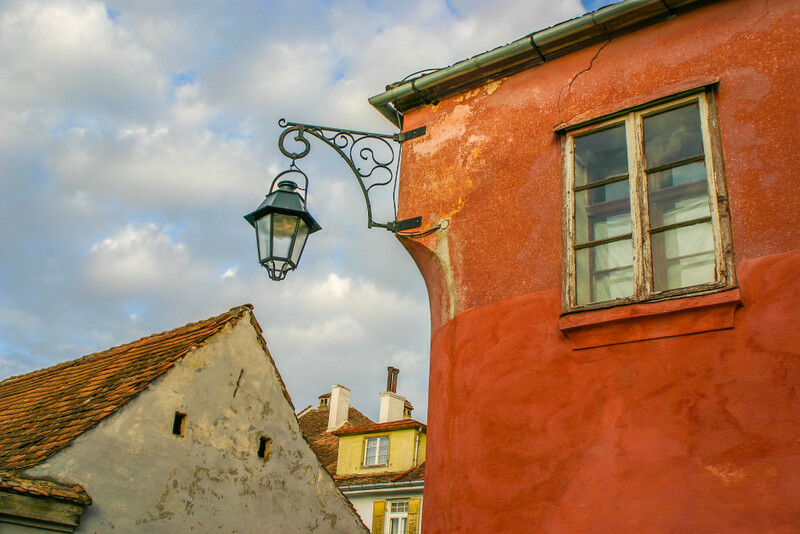 The Real Dracula Tour explores the places where the real Vlad the Impaler lived during his time, but also places that inspired Bram Stoker’s novel, such as theBorgoPass or the city ofBistrita. 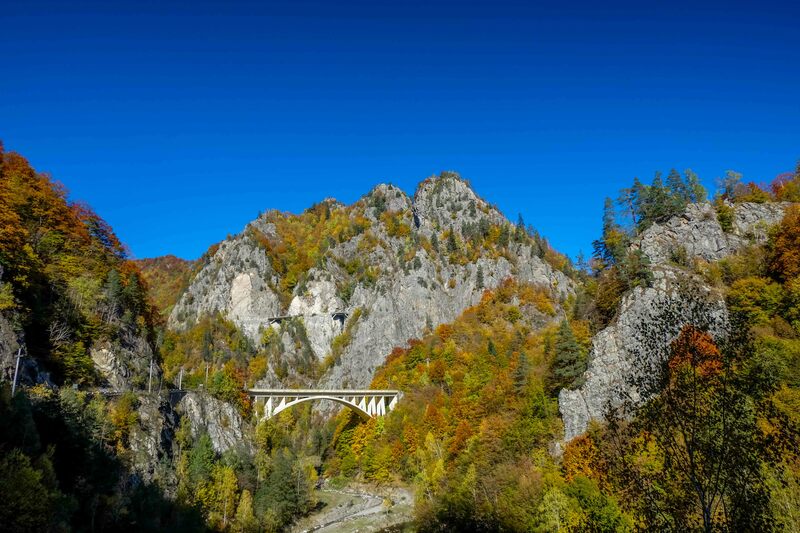 Asides from The real Dracula Tour, we recommend you other Romanian tours, including active tours, detailed Bucharesttours or other unforgettable experiences while visiting Romanian sights. 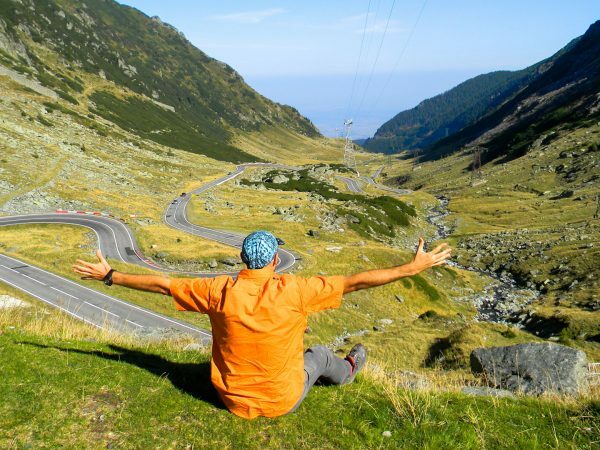 For a truly unique experience, we suggest you private tours in Romania, complete with guides and transportation.